The university recently accepted the Tree Campus USA designation by the Arbor Day Foundation for its efforts and commitment to effectively manage its urban forest. 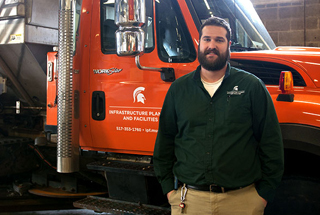 The university established a Campus Tree Advisory Committee in 2015 that acts as an advisory body to Facilities and Services, which is responsible for maintaining more than 20,000 trees on campus. After approximately 35 acres of farmland were used for new apartments, the university identified nearly 40 acres of wooded university property that will be converted to farmland in an effort to assure that the total amount of land dedicated to agricultural use is maintained. The university recently signed a pledge to continue its commitment to using neonicotinoid-free insecticides, a product with harmful environmental impacts. The pledge, called BEE Protective, is a national campaign organized through the Center for Food Safety and Beyond Pesticides and works with campuses to adopt policies that protect pollinators from bee-toxic pesticides. A new campus-wide upgrade to irrigation piping is underway and projected to decrease campus water use by 20 percent annually. 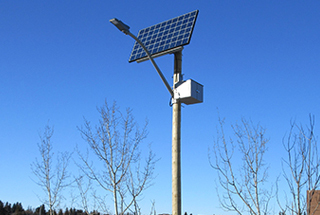 The new system allows employees to control and monitor watering from a centralized location. 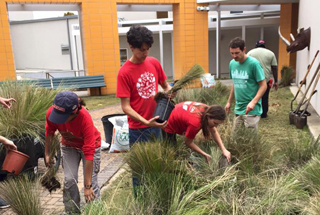 The Katy Prairie Conservancy recently launched a fundraiser, called Grassroots for Change, to build pocket prairies at Houston-area universities, including the University of Houston, Rice University and the University of St. Thomas. The funding will be used to install and maintain native plant areas on campus. In alignment with the university's strategic framework, Landscape Services recently began using a liquid deicer derived from beet juice in an effort to reduce chlorides in the environment. Sidewalk snow removal teams are also equipped with special brooms that are now used during lighter snow events, which has helped cut down on salt use as well. A new road that links the Storrs campus to a local route was engineered with a wildlife corridor that enables critters as small as salamanders to larger ones such as white-tailed deer to cross the road without danger from vehicular traffic. 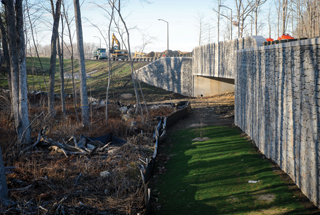 Further, the path of the road was designed to minimize destruction of surrounding wetlands. A student design will transform a 12-car parking area into a laboratory to test the effectiveness and effects of permeable pavement. Instrumentation will collect data from runoff and compare water quality between the permeable asphalt and traditional asphalt surface. The college and Trees Atlanta teamed up to plant 30 trees across one of its campuses in an effort to make the college a more environmentally-friendly and beautiful place for the campus community. Planted species include hornbeam, ginkgo, crape myrtle, cypress, linden, oak and blackgum trees. 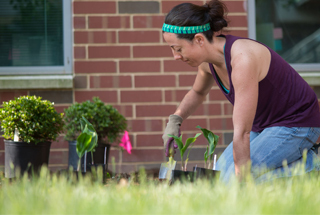 The specialized landscaping across campus, totaling about 10,000-square-feet of land, is pollinator-friendly, can withstand heavy heat and minimal water, and enables pesticide-free practices to continue. 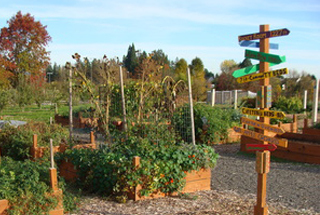 The project was funded by the campus' sustainability fund and involved students from the university's Environmental Center and permaculture class. With the help of students and staff, University Recreation and Grounds Management partnered to study the viability of using compost instead of traditional fertilizer to maintain the health of grass on the university’s recreation fields. (U.K.): The award recognizes the university’s efforts in minimizing the environmental impact of its activities, maintaining natural habitats through its commitment to biodiversity, and developing a sustainable campus for the enjoyment of students, staff and the local community. The Arbor Day Foundation recognized the campus this summer with the Tree Campus USA designation for its commitment to effective urban forest management and engaging the campus community in environmental stewardship. 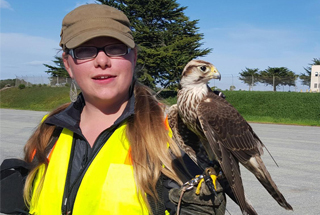 The college's new designation as a Certified Audubon Cooperative Sanctuary through the Audubon Cooperative Sanctuary Program (ACSP) recognizes the college for upholding environmental and habitat stewardship. Some of them dating back to before Duke was Duke, the university catalogs its tallest, widest and oldest trees. The new outdoor learning space that includes seven wooden benches constructed from locally harvested wood now resides on the university's Living Learning Center campus. Dozens of students are now involved in planning a student-centered farm initiative that includes plans for a new minor in sustainable food systems. Students are involved in strategy for the future farm including what farming techniques will be deployed, research about financial resources and workforce of other student farms, and fundraising. This year students from the university's College of Veterinary Medicine have been busy as bees establishing a habitat for bees and a community garden on campus with the help of a $7,000 grant from the NC State Sustainability Fund. Featuring an assortment of pollinator-friendly and native plants, the garden is an educational space for future vets to learn about medicinal & toxic plants. 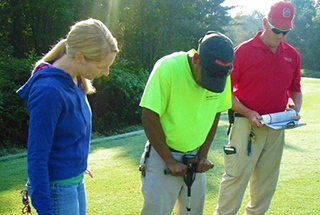 The campus recently installed a centrally-controlled irrigation system that reduced water consumption on athletic fields by 30 percent by calculating the amount of moisture in the air and soil to determine water needs. 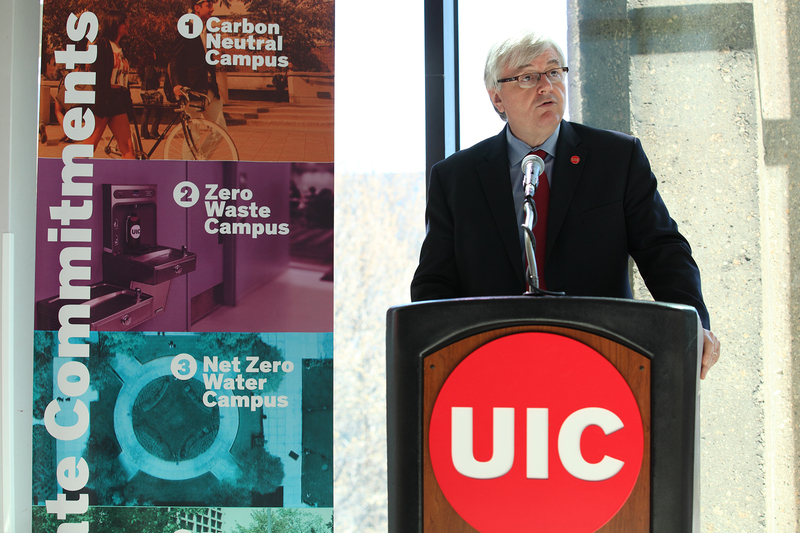 The system will be expanded to help the campus meet the governor's 25 percent water-reduction mandate. 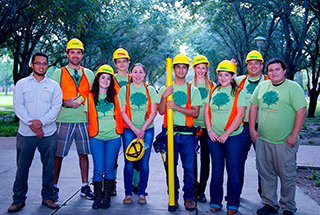 Arbor Day Foundation recently granted the university Tree Campus USA designation for its commitment to managing campus trees, developing connectivity with the community beyond campus borders to foster healthy, urban forests, and striving to engage their students and community in forestry efforts. 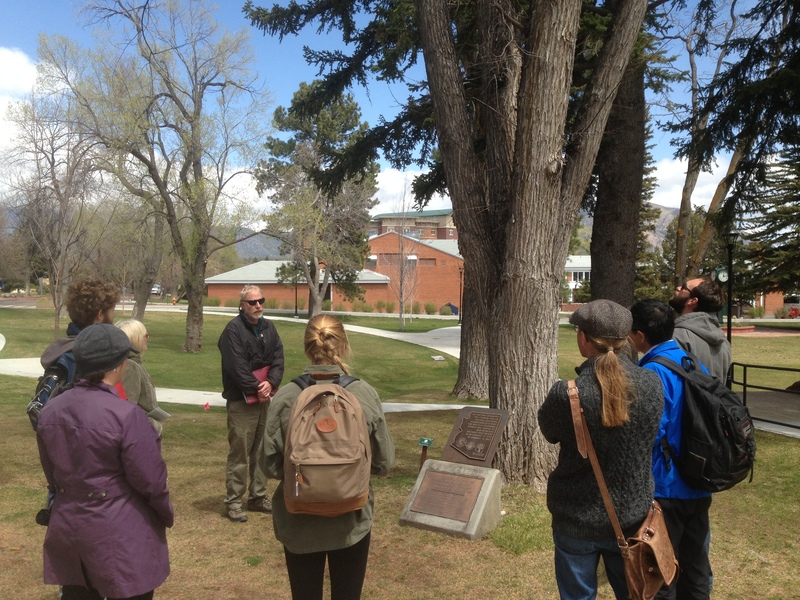 The university was recently honored with 2014 Tree Campus USA recognition by the Arbor Day Foundation for its commitment to effective urban forest management. 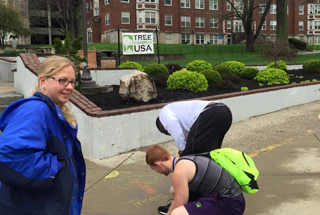 The dedication celebration included a tree walk, tree planting, and a chalk it up event where students wrote and created art about what benefits trees provide. 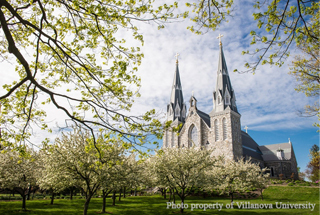 The university will use the principles and resources developed by the Sustainable SITES Initiative™ as guidelines for integrating the institution’s commitment to sustainability with projects that impact campus landscapes. Contribution to air quality, water filtration and management, wildlife habitats, energy, and human health all define sustainable landscapes through the SITES program. On April 8, 2015, the university and Bee City USA will announce the launch of the national Bee Campus USA program, designed to marshal the strengths of college campuses for the benefit of pollinators. The university collaborated with Bee City USA to develop the guidelines for certification after being inspired by early adopters of Bee City USA, such as SOU’s hometown of Ashland, Ore.
A beautiful campus and a litter-free campus go hand-in-hand, and groups at the University of Kentucky will be able to care for their own piece of Wildcat country during the month of April. A new element of the Pick It Up campaign, the Adopt-a-Spot program encourages registered UK student organizations, UK offices and other groups to participate in weekly clean-ups to eliminate litter at UK. 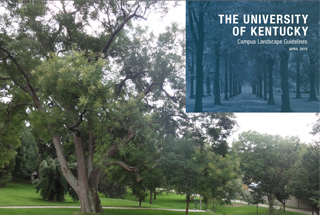 The new designation comes on behalf of the university's Landscape Services' stewardship of campus trees in an urban environment and student engagement through learning opportunities. Thanks to a $50,000 grant from the University Sustainability Fund and $1.5 million from the Department of Natural Resources, the waterway notoriously troubled with flooding, sediment and trash will be restored to improve the creek's stormwater output and general functionality. 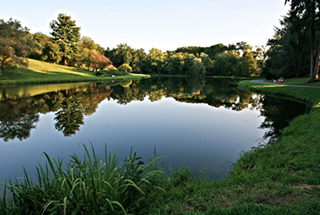 In the past year, in addition to meeting the Arbor Day Foundation's requirements for the designation, the college started growing trees from seed and grafts for the sole purpose of replanting its grounds with species that are healthy and native, ensuring that trees of historical or good quality endure for years to come. Its 49-acre urban campus recently earned the designation for meeting Arbor Day's Tree Campus USA standards, which include maintaining a tree advisory committee, a campus tree-care plan, dedicated annual expenditures for its campus tree program, an Arbor Day observance, and student service-learning project. The university’s Wild Walls student group recently announced its plans to build a vertical plant wall on campus this semester focusing on redesigning conventional campus landscaping while promoting self-sustaining ecosystems. A faculty member has recently collaborated with other university and community parties to implement a rain garden that captures rainwater and diverts it through a rock swell featuring native plants and fruit trees. (U.S.): A campus with nearly 8,000 trees including citrus, olive, fig and pomegranate, members of the university's LEAF organization, Linking Edible Arizona Forests, have recently begun collecting and distributing edible fruit growing on campus that otherwise would go to waste. In an effort to meet the state's mandate to reduce water use by 20 percent by 2020, the university is replacing grassed areas with drought-tolerant plants and landscapes. During the month of November, the university will be using sheep to control kudzu rather and chemical herbicides, which can produce toxic runoff and leave behind tender leading to a potential fire hazard. The university plans to bring the sheep back in spring for a second grazing period. The Schaumburg Campus recently received accreditation as a bona fide arboretum after 34 different types of trees and 10 types of shrubbery were identified on the 27-acre suburban grounds. 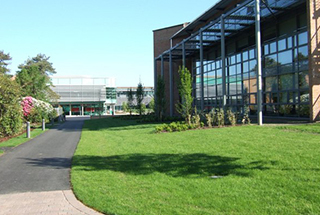 Approved by the university's board of trustees, the new plan, outlining 53 projects, includes the following guiding principles: keeping the landscape simple and elegant, creating places for people to enjoy, developing outdoor spaces as a learning laboratory, and creating a memorable and beautiful environment. The university continues its efforts to protect campus trees and provide maps for students and the community to learn more about the surrounding environment. 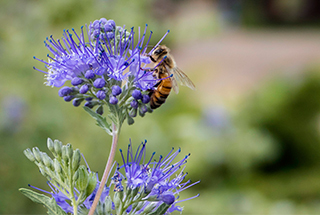 The university’s Office of Sustainability Initiatives recently released a new campus pollinator protection policy that will protect pollinators to further its sustainability vision to reduce the university's impact on the local environment. To prevent cankerworms from damaging university trees, volunteers will wrap and attach polyfill fabric and special paper around tree trunks this fall, and later they will slather the bands with a sticky paste to prevent eggs being laid. This year the university eliminated the use of chemicals to be replaced with aeration, seeding and composting to increase environmental efforts across the campus. The college plans to create a pedestrian mall to replace a busy intersection located between residence halls and the student union by next summer to unite the campus and improve college experience while promoting an increase in green areas. A soil product recently created by the university to keep grass and plants firmly rooted and thriving while also providing significant filtration and reduction of storm water runoff is now on 50,000 square feet of roofs in Florida. After a petition urging the university to save the 200-year-old tree located where the business school expansion has been planned, donors factored the relocation of the tree into the overall cost of the project.